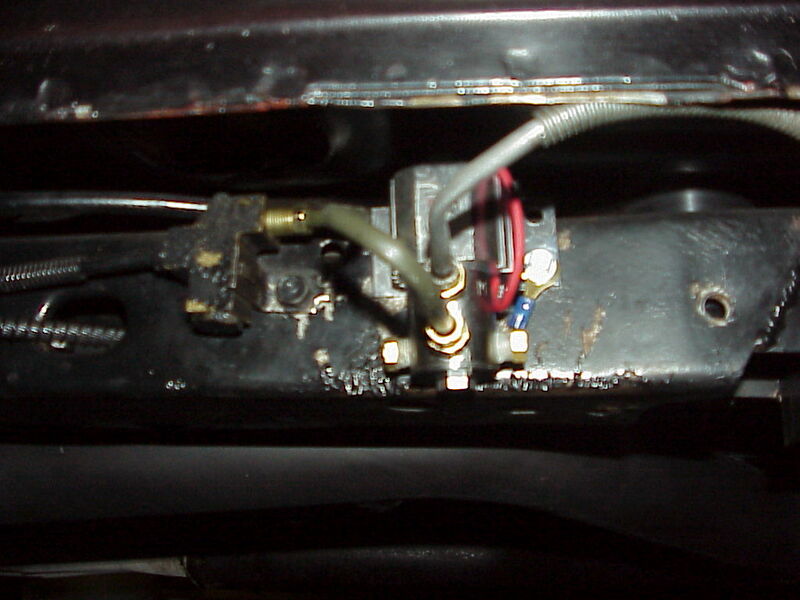 330 A look at the Hurst solenoid. I mounted it at the frame behind the proportioning valve. A short piece of tube is all that's needed. It's also plumbed backwards. When active, fluid can't pass the valve. If I plumbed it the way Hurst said to, then fluid would enter the rear brake system with the valve ON. Useless for a rear mount and doing burnouts. Thanks to the guys at Team Camaro for this trick!